אברהם טל, אליעד, אניה בוקשטיין, אסתר רדא, ברי סחרוף, דודו אהרון, דויד ברוזה, דיקלה, דנה ברגר, דני רובס, הראל סקעת, חנן בן ארי, ירדנה ארזי, לאה שבת, ליאור נרקיס, מוקי, מוש בן ארי, מירי מסיקה, מרינה מקסימיליאן, נסרין, סאבלימינל, סטטיק ובן אל תבורי, עברי לידר, עומרי גליקמן (התקווה 6), עידן חביב, עידן רייכל, עילי בוטנר וילדי החוץ (אדר גולד, אוהד שרגאי, תום גפן), קובי אוז, קובי אפללו, רוני דלומי ושמעון בוסקילה. I am not sure the police are supposed to mix in to politics like that... but either way, this would definitely make things more interesting! What is especially interesting about the recent election results is that it is all pretty much the same as the previous government - with some minor changes and a few mandates moving around a bit, but overall it is pretty much the same players and the government coalition will almost definitely look nearly the same way it looked before the elections. This makes one wonder what, if anything was accomplished. If it is all the same people, same parties, same issues, what is going to change now? If Lieberman had to pull out of government last time and essentially bring it down (though it took a few weeks longer), why should it be any different now? Coalition negotiations have not yet begun, but Netanyahu will surely be a magician to get this to work. The same issue that brought downt he last government, the IDF draft bill for Haredim, looks like it will be the biggest obstacle to forming this new government. Lieberman is insisting on a condition of entry that the law as drafted in the previous government be passed as is with no change or he won't join. 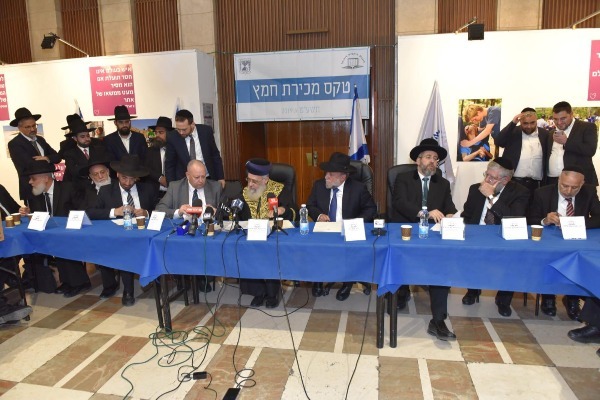 On the other hand, the Haredim are insisting on dropping it altogether or making major changes - even the Haredim who were ok with it before are now not ok with it, as now they are stronger with more representation and have a stronger hand. Litzman is saying that if the draft bill is a condition of the coalition, they won't join the coalition, though Litzman was against it before as well. Regarding the public demands made by Lieberman about the passage of the draft bill, Gafni says Lieberman has 5 mandates and we have 22. This bill is not from the Defense Ministry (rg: Lieberman claims it is) and we will request a normal law after the coalition is formed. And if necessary we will go back to new elections. All good and dandy. It is nice to have another day off every now and then. Election day was nice. And we already know that chances are small that things will turn out any differently next time, or the time after that, so this could become an endless cycle. That being said, I like how Gafni points to Lieberman being only 5 mandates and therefore not really having a right to make such strong demands against 22 others with the opposite position. As if UTJ never made strong demands when they were small. Just a short while ago we went out on a new path. Like Nachshon ben Aminadav jumped into the waters of the Yam Suf that then split in the story of the Xodus from Egypt, so we did and went on the path. In just a few months, and with the help of thousands of good people, we reached an exceptional accomplishment.